Reserve now for our November Gov Con breakfast meeting! How transparent are IT costs in your organization? 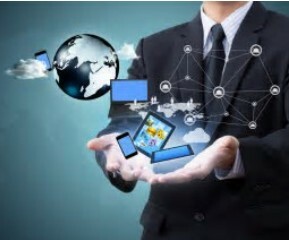 At our meeting this past Wednesday we discussed how Technology Business Management can help improve transparency and improve related decisions making. Set aside time to network with us at our GovCon Breakfast in Tysons Corner on Tuesday, November 14 , as we discuss the challenges associated with Cost Reimbursable Contracts. Thank you for your support throughout 2017! While the calendar year will be closing soon, our 2017/2018 program year continues! Please visit our web site often. Next Tuesday, November 14th, come to our Government Contractor Breakfast in Tysons Corner, where Tom Marcinko and Donna Dominguez of Aronson LLC will present the topic “Cost Reimbursable Contracting - Managing Cost Type Contracts." One hour of CPE, along with a breakfast buffet await you, and you'll be done by 9:30 AM. Chart your course and vision your destination and results: financial planning and analysis adds value! CMA certification is a key opportunity to consider! CMA opens doors! Thank you to all who attended our Wednesday, October 11, table topics and dinner meeting. It was a surprising evening. At some point many of us are self-employed. Our table topics focused on liability as well as cash management. Due upon receipt was the most popular of ideas, as well as asking for referrals. The entrepreneurial topic brought nearly 20 attendees to our event with about half attending the starter conversation! Our key speaker, Bob Smith, shared a lively presentation as he explained that ideas and processes require marketing and a message facilitator to bring results and sales. He truly enjoys these opportunities and was well received by our diverse group. Bob’s message is evolving and at times appears at his web site . Bob referenced our event in his recent news! Kathy Turner is a Senior Accountant with Raffa’s managed accounting services department. She is CMA and CFM with over 17 years of accounting experience. Kathy joined the firm in 2017 and has served primarily the not-for-profit industry since then. How did you decide on a career path in Finance/Management Accounting? My mother was an accountant so there were some influences from my family. I like math when I was in school, so I went to college for accounting degree. I am the senior accountant at Raffa, PC. This public accounting firm works for most not-for-profit organizations in the DC areas. I am in the managed accounting service department and responsible for client's the outsourced accounting. Have you had different roles and responsibilities within the Management Accounting career field? Would you please elaborate? My first job after I graduated from East Texas Baptist University was working as the accountant at a manufacturing company. It is a division of a publicly traded company, Goodrich. My responsibility included general ledger and cost accounting. Later I became the cost accountant and division controller at EnPro Industries. I enjoyed providing finance support for the business to make decisions. My favorite aspect is to support the operation, improve the process, and at the same time safe-guard assets, and make sure internal controls are efficient. First find out what you like to do, and then spend time to study and practice. It is great to study and pass a certificate such as the CMA. Sometimes when you change industries, you might start at a lower position to gain the experience. All your work experience will be a good and long term investment for your career. Do you have any advice to new members or people starting their career in Management Accounting? Management accounting involves more than the bookkeeping and spreadsheets. If you are passionate about the goal of the business and developing others, you will find that management accounting is very interesting at different companies. 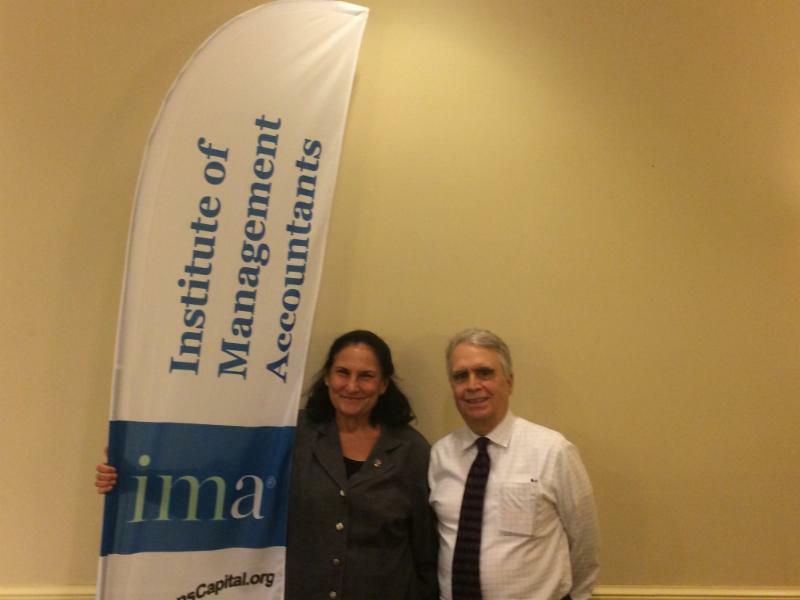 I joined IMA about 15 years ago, and then became CMA in year 2005. I was involved at the Tyler chapter in Texas, and eventually became that chapter's president. It was great experience to serve the chapter and the members. The people I've met are very professional and want to help with each other’s development. As Treasurer, what has been your greatest accomplishment with the Nation's Capital Chapter? I am currently working with the board members responsible for the technical meeting and the government contractor meeting. These are the primary activities that our chapter offers members in DC, MD and VA. And I am also involved in transitioning our chapter’s finances from the previous Treasurer.